Staying on top of routine maintenance is crucial to keep your vehicle running its best, and we’ve got you covered at out Lawrence Honda service center. As you may already know, staying on top of oil changes is one of the best ways to protect your vehicle against wear and tear as fresh, clean oil can clean, coat, cool, and protect your engine. But what other information do you need to make responsible choices for your vehicle? When replacing your oil, always use Honda Genuine Oil or another oil that displays the “Starburst” certification symbol. This ensures that the oil you use meets all of the latest standards and requirements for optimum performance. You can choose traditional or synthetic oil as you see fit, as long as it meets these requirements. Honda does not recommend using additives with your oil, as it won’t prolong the life of your oil if you’re using the right oil to begin with. A crush washer is a single-use washer that goes between the oil pan and drain plug. It gets its name because when the plug is tightened, the washer crushes down to create a stronger seal against leaks. Since it will only crush once, it can’t be reused and should be replaced during every oil change. This is another reason you should always visit a certified Honda service center like Dale Willey Honda where expert technicians know the ins and outs of your vehicle. The duration between oil changes will vary slightly depending on your vehicle, the type of driving you do, and what kind of oil you use. Our certified Honda technicians know your vehicle’s recommended service schedule and can help you stick to it. Additionally, your Honda never needs an engine or oil flush; routine oil and filter changes eliminate the need for any sort of engine flush. In fact, any damage caused by an engine flush isn’t covered by your warranty. When you choose to service your vehicle with Dale Willey Honda, you get the peace of mind that comes with having your car cared for by our certified technicians. Additionally, we carry out diagnostic tests free of charge so that you can make educated choices when it comes to repairing your vehicle. If you do need service beyond routine maintenance, don’t worry; our service shuttle and loaner vehicle program make it easy to fit service into your busy schedule! 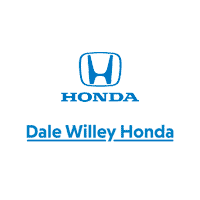 For more information about the services we provide at Dale Willey Honda, be sure to contact us by calling 785-843-0550. You’re gonna like it here!